Mr. Johnson has been a Vice Chairman of Perseus, L.L.C., a merchant banking and private equity firm, since April 2001. From January 2000 to March 2001, he served as Chairman and Chief Executive Officer of Johnson Capital Partners, a private investment company. From January through December 1999, he was Chairman of the Executive Committee of Fannie Mae, having previously served as its Chairman and Chief Executive Officer from February 1991 through December 1998 and its Vice Chairman from 1990 through February 1991. Mr. Johnson is on the boards of the following public companies in addition to Goldman Sachs: Forestar Real Estate Group, Inc., KB Home, Target Corporation and UnitedHealth Group Inc. 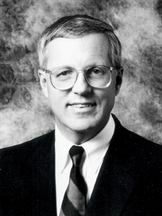 In addition, he is affiliated with certain non-profit organizations, including as Chairman Emeritus of the John F. Kennedy Center for the Performing Arts, as a member of each of the American Academy of Arts and Sciences, the American Friends of Bilderberg, the Council on Foreign Relations and The Trilateral Commission, and as an honorary trustee of The Brookings Institution. He earned his political science degree from the University of Minnesota and M.P.A. from the Woodrow Wilson School of Public and International Affairs at Princeton University. National Museum of African-American History Council This museum seeks to help all Americans remember, and by remembering, this institution will stimulate a dialogue about race and help to foster a spirit of reconciliation and healing. American Friends of Bilderberg, Inc. The IRS classifies this as a private foundation. The umbrella organization is the Bilderberg Group.